Personalised Instagram window sticker. 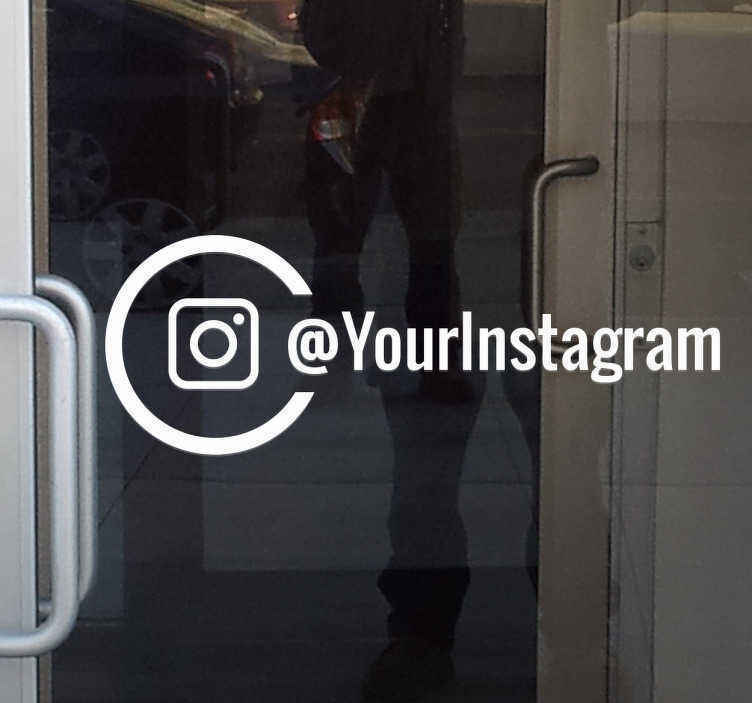 Great and stylish Instagram window sticker for the shop window with the Instagram logo and your account name. This shop window decal is perfect for promoting your social media accounts on your very own shop window. This decorative sticker is something people will notice when they walk by. Wall sticker is an easy and effective way to do marketing. You can choose the color of this sticker from our vast color catalogue to fit your needs. All of our stickers are very easy to apply since they are made of flexible high quality vinyl.